Attorney West Seattle, LLP is a boutique law firm located in West Seattle, WA. The firm focuses on business law and intellectual property law in West Seattle. The firm's mission is to help companies and independent professionals in West Seattle protect and grow their businesses. Attorney West Seattle is a boutique law firm located in West Seattle, WA. The law firm focuses on business law, estate planning, personal injury and intellectual property law in West Seattle. The firm's mission is to help companies and individuals in West Seattle with their legal needs. Click on one of the tabs below to learn more about our law firm's practice related to business law, wills/trusts, or personal injury legal matters. - Certificate of Deposits: Representing several people that are being denied redemption of their certificate of deposits from Seattle-First Bank, Rainier Bank, and other banks that issued certificate of deposits in the 1980’s. 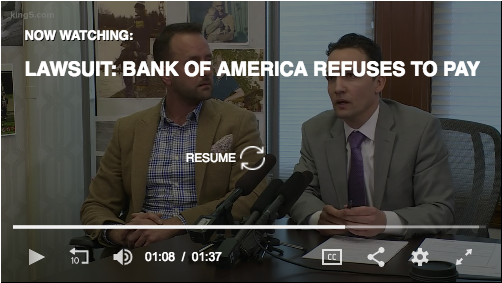 - Bank Bonds: Filed federal lawsuit against Bank of America and Key Bank for the non-payment of bank bonds issued by Rainier Bank and Seattle-First National Bank (Seafirst Bank). - Reached favorable settlement against multi-party copyright infringement involving New York Times, USA Today, CNN, Yahoo, and Reuters. - Represented production company in cross licensing deal with RedBull Media House. - Advised and Drafted purchase agreement for sale of family owned business. - Negotiated worldwide license agreement with National Geographic and Nimia.com. - Negotiated and Drafted Pacifico Beer video license agreement for commercial advertisement produced by marketing agency GSD&M. - Speaker at Seattle's Office of Film and Music Event - Legalities of flying drones, digital estate planning for musicians and filmmakers, Digital Millennium Copyright Act and fair use doctrine. - Negotiated cross licensing deal with RedBull Media House. - Successfully settled copyright infringement dispute related to rock icon Ian McLagan. - Panel Speaker at Digital Hollywood, Maximizing Content Value - From Video to Entertainment and Information - Metadata, Content Farms, Syndication, Behavioral Search & Description. - Drafted media licensing agreement with BBC. 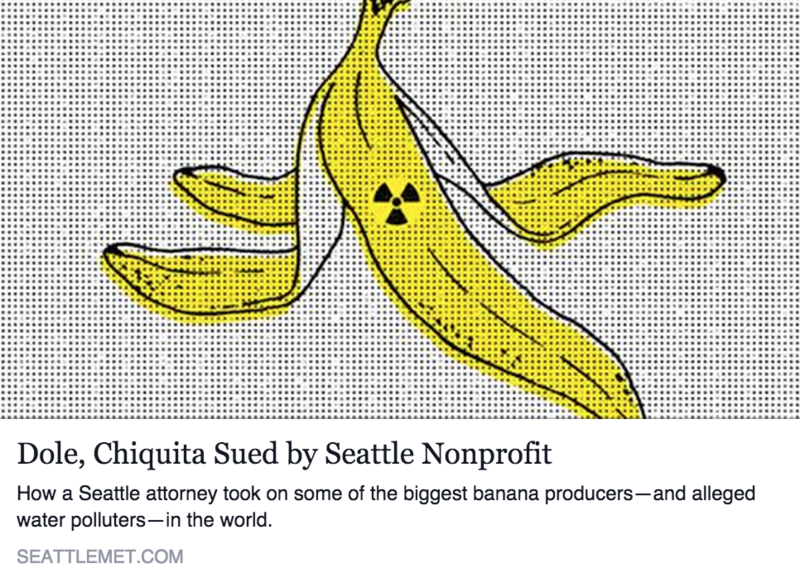 - Filed lawsuit against Chiquita Banana. The law suit includes violations of Washington's Consumer Protection Act, Negligent Misrepresentation, and Breach of Express Warranty. Facts of the case include contamination of drinking water sources, pollution, and the murder of Miguel Ángel Ramírez Enríquez. The full complaint can be accessed here. For Seattle's KOMO News exclusive coverage click here. - Drafted video footage licensing agreement used for Big Sean / Lil' Wayne rap video. - Successfully settled copyright infringement dispute against Rock n' Roll Hall of Fame. - Negotiated media licensing agreement with Universal Music. - Entered settlement negotiations with Dole Foods. Successfully settled consumer fraud case two weeks later. **For employment law matters we recommend West Seattle Personal Injury: http://www.westseattleinjuryattorney.com/.